The importance of visiting a dental clinic on a regular basis is often undervalued. Many people tend to believe that a dental clinic is simply there for when you have dental emergencies. This is definitely not the approach you want to take! You might be surprised to learn the extent of what really goes on during your regular check-up. In addition to cleaning and polishing all your teeth your hygienist will also check for tooth decay, oral cancer and gum disease—all issues that can have serious consequences for your overall health if left undetected. A regular visit to your dental clinic will not only prevent issues from arising with your teeth, but it will also provide you with a much brighter smile. 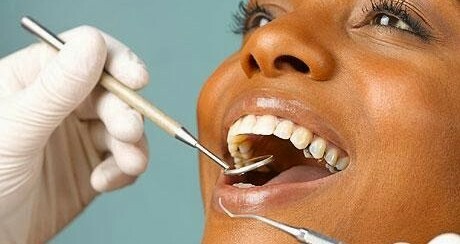 Visiting a dental clinic for emergencies only is a bad habit that some people fall into. Waiting a long time before visiting your dental clinic can result in you having extremely painful and annoying dental problems that could have easily been avoided with a regular dental check-up. The general rule of thumb for dental visits is to visit your dental clinic for check-up purposes twice a year and perhaps more frequently than that if you encounter any problems. It is recommended that patients visit their dental clinic on a regular basis to ensure their peak oral health and to help avoid serious, costly and preventable problems.